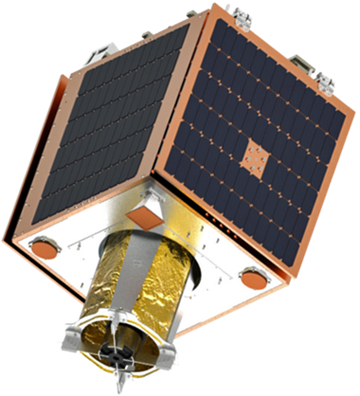 Earth-i has ordered five satellites from SSTL (Surrey Satellite Technology Ltd.) for their new Earth Observation (EO) constellation. The provision of high-frame rate images with resolutions better than one meter for any location on Earth. The ability to film moving objects such as vehicles, vessels and aircraft in ultra-high-definition color video. Footage recorded by Earth-i’s fleet of satellites will be available for analysis within minutes of being captured and will improve decision-making and response times in a wide variety of scenarios from change detection to object identification, from disaster response to infrastructure monitoring. The creation of Earth-i’s constellation starts with the imminent launch of its pre-production prototype satellite, which was also designed and manufactured in partnership with SSTL. This prototype will demonstrate and prove technology and processes for the future constellation including tasking, data downlinks to ground stations, image quality and video from space. The five SSTL satellites just ordered are planned for launch in 2019. Welcoming the signing of the contract and the imminent launch of the prototype, Science Minister Jo Johnson said that some of Britain’s most exciting commercial opportunities are in the thriving space sector and it’s great to see two home-grown companies joining forces to lead the world on Earth Observation technologies. The Government is investing record amounts in science and innovation and is committed to growing the nation's share of the global space market. The upcoming Industrial Strategy will build on our strengths and capabilities as a nation, and projects like this show what we can achieve. Richard Blain, CEO of Earth-i, said that SSTL is the company's long-term supply partner and this order is a key milestone for the deployment of the constellation. Earth-i is on track and in countdown mode to the imminent launch of the prototype satellite. This new satellite and this announcement mark significant progress on the way to a step-change in how Governments and industry use new types of data from space to make better, more effective and timely decisions to improve our daily lives.